For sale by public auction on instructions from the personal representative of the late Edward McHale, Kevin Beirne auctioneers offers for sale property and lands at Bohogue, Manulla, Castlebar. These lands are in one unit and this sale can take place in one or more lots. The auction will take place on Friday, November 24, at 4pm in Rocky's Bar, Linenhall Street, Castlebar, of this two bedroom bungalow plus circa 45 acres of agricultural land from folio MY39362F. 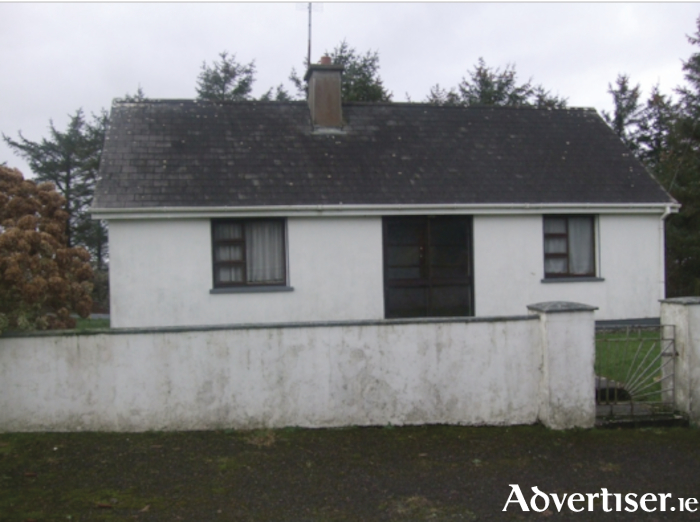 This property is in need of total modernisation and is located close to the village of Manulla and within easy commuting distance of Castlebar, Balla, and Belcarra. It is an ideal opportunity to acquire and transform this property into a new family home. The lands can be described as good quality agricultural land being well maintained. Maps on request from Kevin Beirne Auctioneers. Vendor's solicitor: James Cahill, Ellison Street, Castlebar, Co Mayo. For more information contact Kevin Beirne Auctioneers, Tucker Street, Castlebar. Phone (094 ) 9044777 or (087 ) 0540013, log on to www.kbauctioneers.ie, or email [email protected].